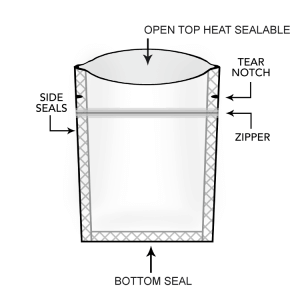 Looking for the highest quality black Mylar bag that will protect your product, and extend its shelf life? Then Super Black is your bag. This ultra tiny 2×3 Black barrier pouch for a couple of pills, or other tiny item. Need Printed Black dime bag marijuana packaging? Save time and sell more cannabis with printed Black dime bag 3 side seal pouch marijuana packaging. We offer both plate and digital printing on these resealable ziplock mylar bags. 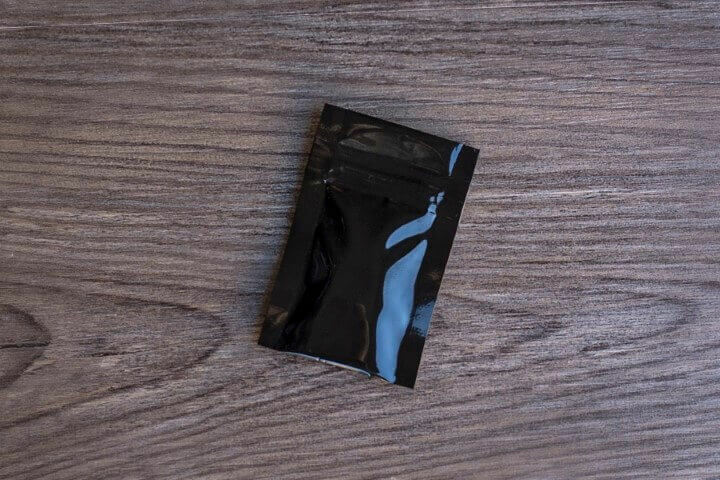 A printed Black dime bag marijuana packaging is a very small size, but perfect for the right applications such as pills 1-3 gummies or candies per pouch. Smell proof bags with digital printing where you can print with very low setup fees and lightning fast production time of just 4 weeks. The cost of Black dime bag 3 side seal pouch marijuana packaging (2×3) resealable ziplock bags is dependent on a few factors. So, to get an accurate quote just give us a call at 626-376-9836 or contact us. Do you offer this Black dime bag marijuana packaging with a child resistant zipper? We offer a selection of stock child resistant bags, as well as customized child resistant Black dime bag marijuana packaging. Do you offer samples of Black dime bag marijuana packaging?